Bozeman is a city in and the county seat of Gallatin County, Montana, United States, in the southwestern part of the state. Museum-lovers will get to explore American Computer Museum and Bair Family Museum. Missouri Headwaters State Park and Nevada City Ghost Town will appeal to history buffs. 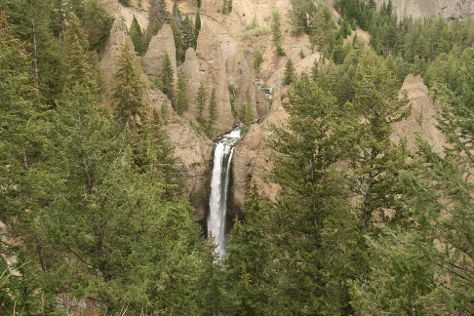 Get out of town with these interesting Bozeman side-trips: Livingston (Yellowstone Gateway Museum, Pine Creek Trail, & more), Yellowstone National Park (Tower Fall, Lamar Valley, & more) and Ennis (Willies Distillery & Ennis RV Village). Spend the 26th (Thu) on the water with a fishing tour. On the 1st (Tue), dedicate a day to the elevated beauty of Bridger Bowl. The adventure continues: take a pleasant ride with a tour on horseback, learn more about the world around you at Museum of the Rockies, tour the pleasant surroundings at Beehive Basin Trail, and head outdoors with Grizzly Outfitters Ski & Backcountry Sports. To find traveler tips, where to stay, ratings, and other tourist information, you can read our Bozeman trip planner . In September, daytime highs in Bozeman are 26°C, while nighttime lows are 5°C. Finish your sightseeing early on the 17th (Thu) so you can travel back home.